The cost of Chelsea and Marc's big day is thought to be around £3million. 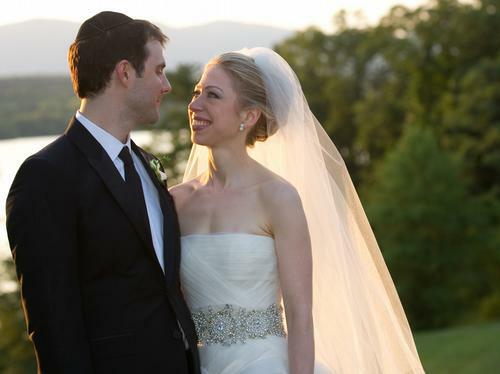 Chelsea was wearing a Vera Wang dress which cost around £20,000. See the full gallery: America's "Royal Wedding"